Taylinn Arrate, a member of Girl Scouts Troop No. 50607 in Tiffin, helps Mike Homan, firefighter-paramedic for Tiffin Fire Rescue Division, spray a hose at the downtown station Tuesday evening. 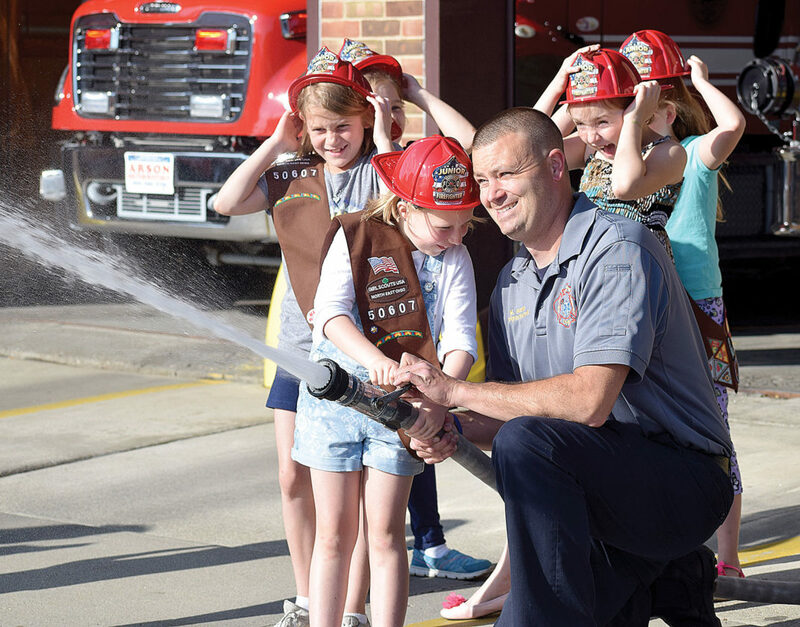 The Girl Scouts took a tour of the station. To view more photos from this event, visit cu.advertiser-tribune.com.